Specialist providers of inventory driven eCommerce and order fulfilment providers. Below is a selection of websites that we have produced and maintain. RossGower.com - Channel Island insurance specialists. Justinkandpaper.com - A leading supplier of original branded ink cartridges and inkjet paper. 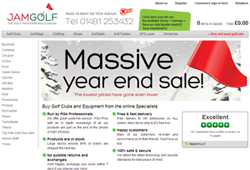 JamGolf.com - Buy Golf Clubs and Equipment from the online golf specialists. 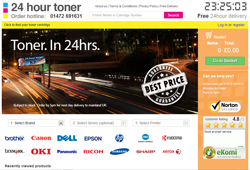 24hourtoner.com - Toner cartridges and printer supplies delivered next day. Tamburino - Authentic Italian restaurants in the South West. We're hiring! - View our openings.